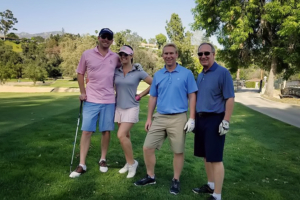 In April, we hosted the 5th Annual “Sam Han Classic,” a charity golf tournament at the beautiful Brookside Golf Course in Pasadena, California. The tournament was started to honor our late founder and his passion for the game while helping the children he loved. Last year’s tournament attracted more than 80 participants. The tournament featured various contests including a male and female long-distance drive, closest-to-the-pin, and three hole-in-one locations with the biggest prize being $10,000 cash. In total, the tournament raised nearly $18,000 for our programs. 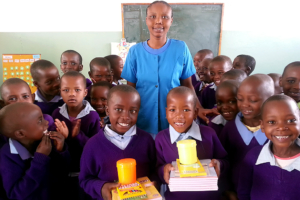 The Tanzania program continued to thrive in 2018. We continued to support the Meserani preschool with a free education, a daily nutritious meal and medical care for approximately 60 students annually. We also saw another graduating class of 30 students – who demonstrated the skills and ability to continue their primary education at another school. The Han-Schneider Vocational School also graduated 10 students in sewing and computer training – these graduates will be able take their acquired skills to start their own small businesses or work for a local company to sustain themselves and their families. This program has been essential in improving the local Maasai community by breaking the cycle of poverty and creating a new cycle of prosperity. In Cambodia we continued to operate the Han-Schneider Balang Preschool in Balang Village where over 30 students benefited from a free education and daily meal program. The school also serves a dual purpose by transitioning into a church for Sunday services. We have begun to plan some improvements and general maintenance for the school which should take place in early 2019. 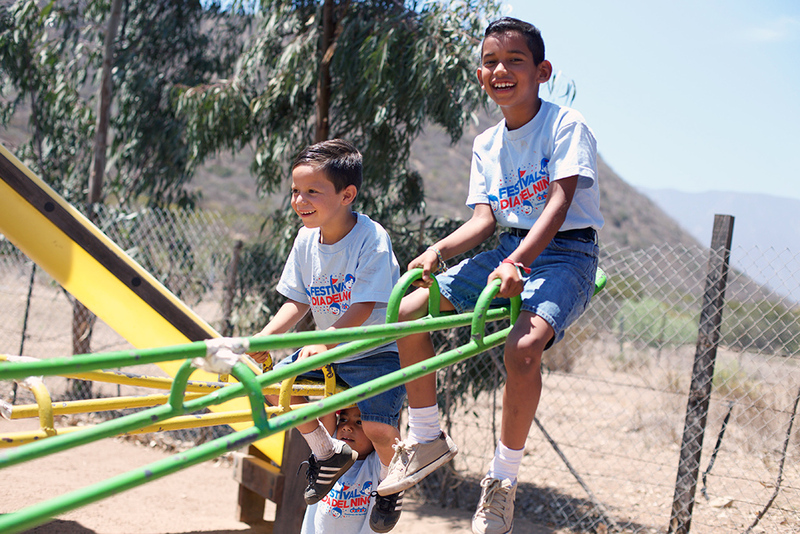 Our focus has been centered on early childhood education which studies show is so crucial in a child’s life. The Balang community has prospered by placing their children in school instead of having to work with their parents. 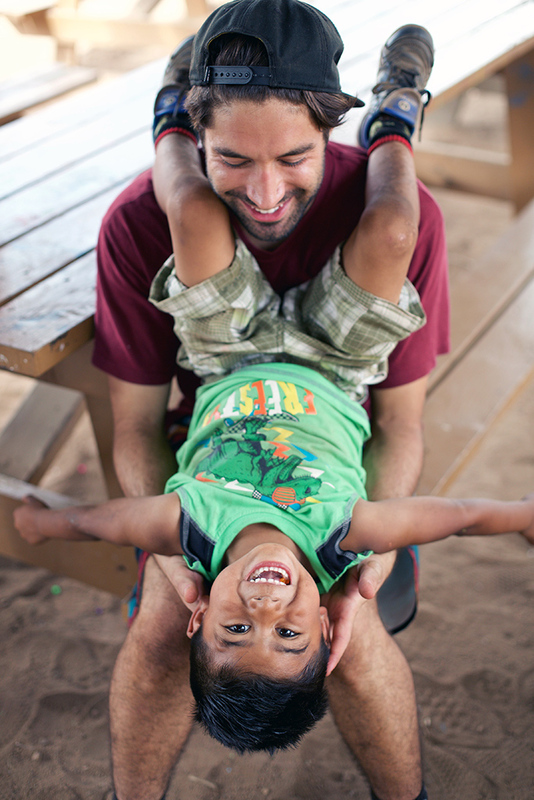 This program has given families and their children a true opportunity for a meaningful future. 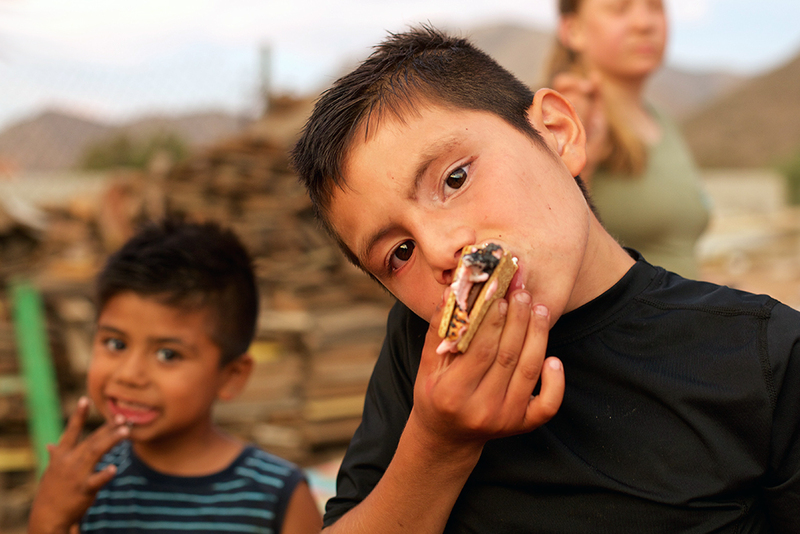 Our Mexico program endured some challenges this year as our food shipments were initially held at the border and not able to reach its final destination. Our shipment was ultimately diverted to a local warehouse for storage until we were able to transport each pallet by truck on several trips. 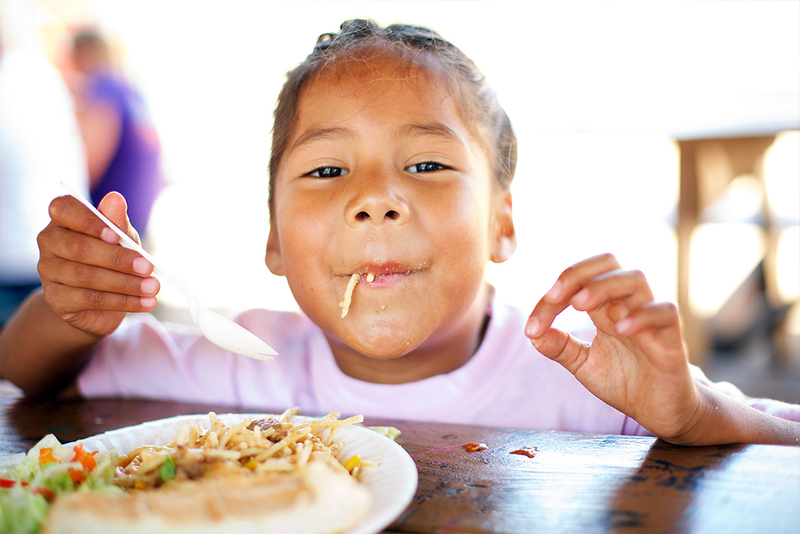 This was done through a collaborative effort with our partner Genesis Diez whose determination and connections in Mexico finally got our meals to our children. While future shipments could still foresee problems at the border, we are hoping and praying for a speedy resolution. We are determined to continue to get these meals to the children who need it most. This past year saw the launch of our first domestic program in Las Vegas, Nevada. 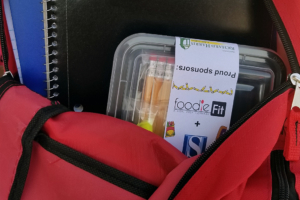 The “Prepped for School” campaign was the vision of FoodieFit owner Alex Lee and HSICF Director of Operations Zachary Lopez. 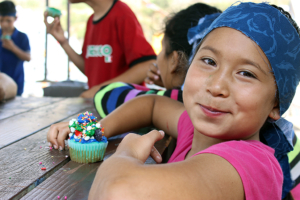 You may remember FoodieFit and HSICF teamed up for a meal-for-meal campaign in 2017 that helped provide enough meals for an entire school for one year. This year’s campaign was focused to help inner-city kids in the Las Vegas area by supplying all the students at Robert E. Lake Elementary with backpacks and school supplies for the entire year. The money raised also helped construct an herb garden at the school and build an outdoor classroom with brand new landscaping, a pergola and whiteboard. It also started a Wall of Fame for all the donors and supporters who have played a role in helping the school achieve its goal. This campaign was made possible by some big donors, including Richard Harris Law Firm and the Backstreet Boys, whose generosity helped us exceed all expectations. We are excited to announce we will continue this amazing program by adding a second school for 2019. Keep an eye out for more details in the coming months! 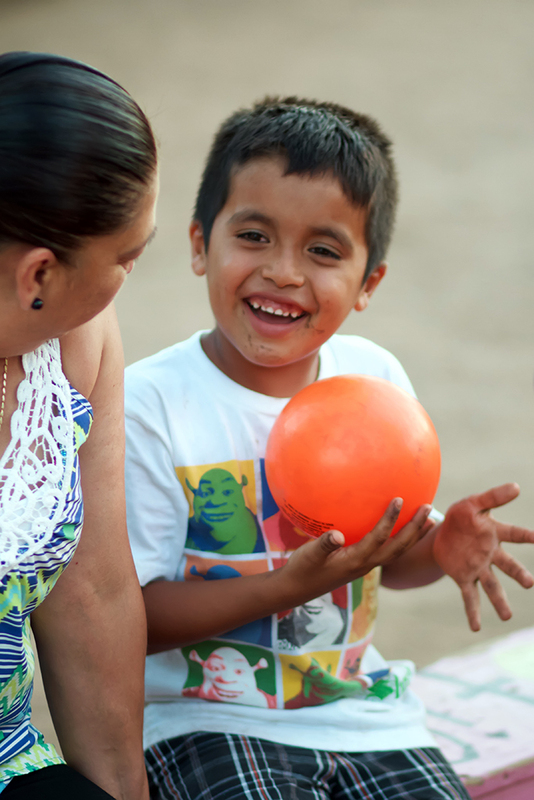 In August, we continued our mission trip program to Mexico where we were able to reunite with the orphans from Casa Hogar La Gloria orphanage. The trip featured many activities and field trips including visiting a farm, concert, outdoor camp and a final day at the beach. 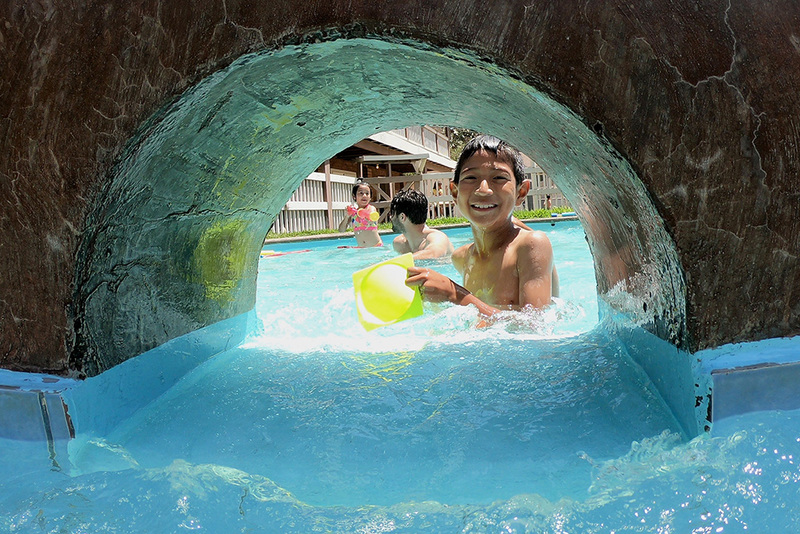 It again offered our supporters a unique opportunity to see how their donations impact these precious children. Keep an eye out for information on our next mission trip in 2019 – it will give you experiences, memories and friendships that last a lifetime. Finally in October, we hosted a benefit dinner and silent auction to commemorate our 10 year anniversary. The event took place at Casa Italiana in downtown Los Angeles. This year’s theme was “Celebrating 10 Years of Changing Lives” and highlighted all the accomplishments HSICF has achieved over the past decade. More than 150 donors, friends and family attended the gala. Award-winning writer and actor John Pollono served as the emcee and our special guest speaker was Brandon Ito from My Wish List Foundation. 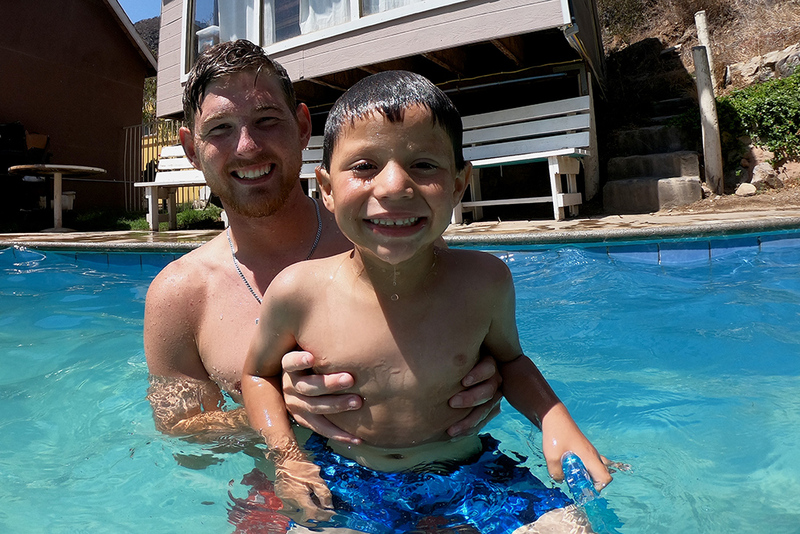 Brandon, who was diagnosed with leukemia as a child, gave a passionate and powerful message of determination to overcome his battle with cancer and the importance of helping children in need. 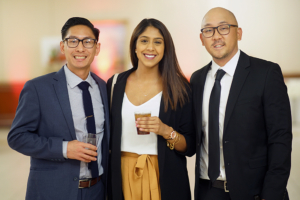 In total, the event raised nearly $30,000 which will help the foundation continue its growth and expand its programs further in 2019. 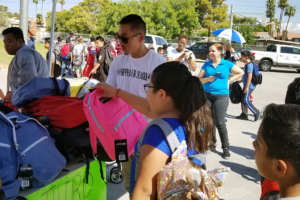 Las Vegas, NV – Months of hard work and planning came to light on August 17, when the Prepped for School campaign fulfilled its promise of providing backpacks and much needed school supplies for the nearly 850 students of Robert E. Lake Elementary School in Las Vegas, Nevada. The campaign was championed by our Director of Operations, Zachary Lopez and his childhood friend Alex Lee who is the co-owner of FoodieFit in Las Vegas. The two have been friends since 1st grade and worked together last year in a meal-for-meal campaign that raised over 10,000 meals. Zac and Alex both wanted to reach a bigger goal this year and initiated the Prepped for School campaign. 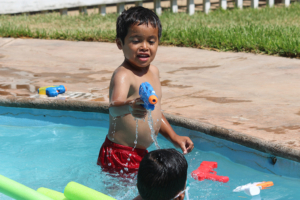 This year, FoodieFit’s focus was to help local children in their own backyard. Robert E. Lake Elementary is a Title I school – meaning a high percentage of their students come from low-income families. The campaign was created to help alleviate the financial burdens that fall upon the parents in providing the necessary school supplies that would enable their children to achieve their highest potential. The community responded enthusiastically to the Prepped for School campaign with big donations coming in from Richard Harris Law Firm, Backstreet Boys along with numerous small businesses showing their support. The campaign raised over $30,000 which will also provide a new school garden complete with a pergola and outdoor classroom, in addition to a wall of fame for all supporters. A special thank you to FoodieFit, Richard Harris Law Firm, the Backstreet Boys and everyone else who made this event a success! On Sunday, July 29, a group of seven people made up of supporters and friends of the Han-Schneider International Children’s Foundation loaded a van and headed for Mexico. 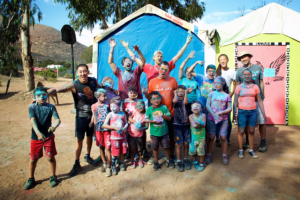 While they knew they were going to be spending a week giving back to the orphans of Casa Hogar La Gloria, they didn’t imagine all they’d get back. 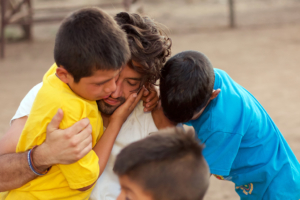 When the children arrived they immediately embraced our company. 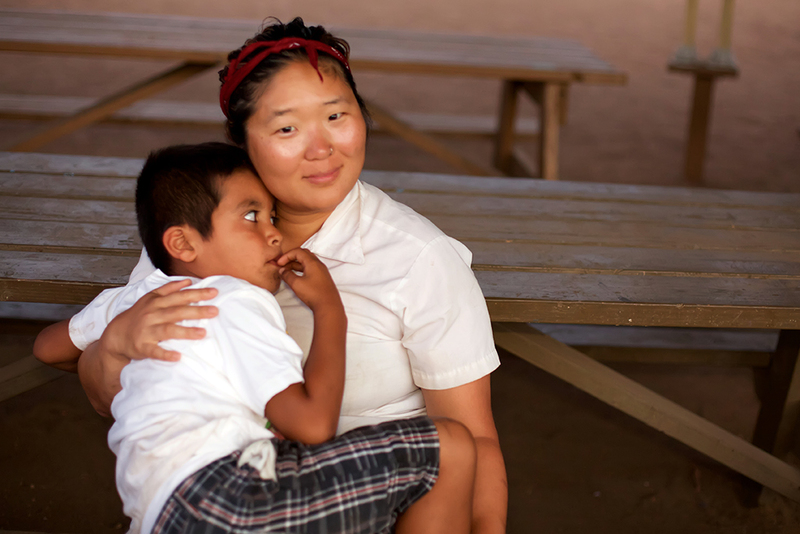 Each member of the mission trip team was assigned 2-3 kids who they served and bonded with the whole week. The trip entailed many activities and field trips all over the Baja region which included a farm, where they got to ride and groom horses, feed cows and learn how a farm operates; a attend a concert and outdoor movie; visit the famous Casitas Ranch where we played in ponds and navigated an obstacle course; made s’mores around a campfire and ended the final day at the beach playing in the water and riding the waves. After sending the children off, we again loaded into our van and started our way back home. 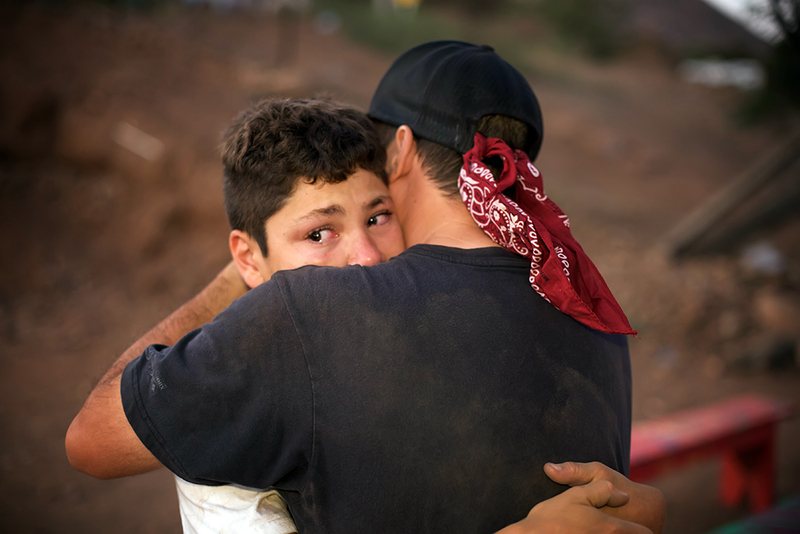 A little dirtier, a little more tired but each team member came back with the love of a child they didn’t know existed only 6 days earlier. 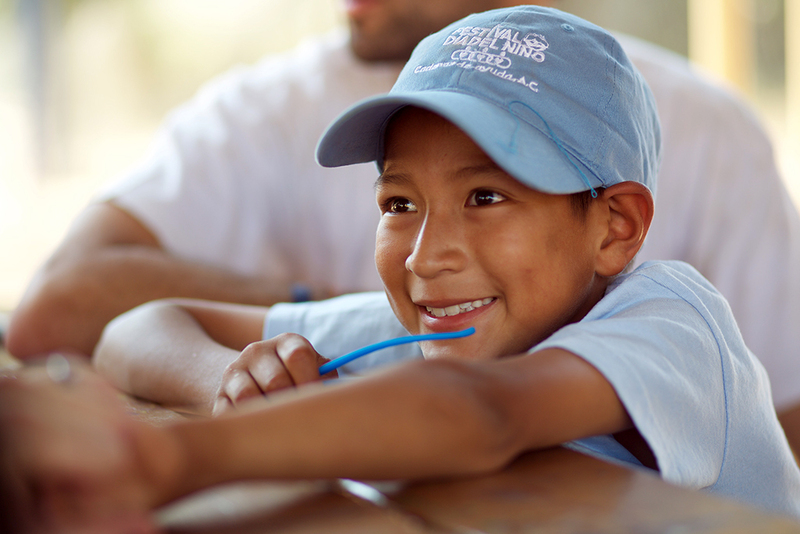 Our mission trip program offers a unique opportunity to put a real face to our cause, bond with the children and see firsthand how your support is impacting the lives of so many. We hope you can join us next year for our 2019 Mission Trip! 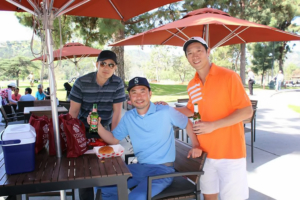 On Friday, April 13, our friends, families and supporters gathered at Brookside Golf Course for the Han-Schneider International Children’s Foundation’s 5thAnnual Sam Han Classic golf tournament. With over 80 golfers in attendance, the event was kicked off with cold refreshments and a BBQ. Each golfer received a goodie bag which included a cooling towel, divot fixer, tees, balls and snacks. The golf tournament began as we sent out the 20 teams to their designated holes. While out on the course, the golfers were greeted by our amazing volunteers who were stationed at the contest holes. This year the tournament featured both a male and female long distance drive, a closest to the pin, and three hole-in-one holes with the biggest prize being $10,000.00 cash. While no one was able to capture that elusive ace, all teams thoroughly enjoyed the day of good shots, bad shots and over-exaggerated drives. 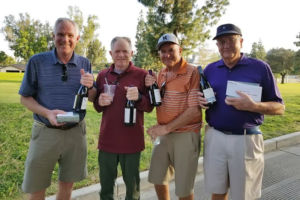 When all the scorecards were tallied – one team proved better that day – Larry Pastre, Gary Klein, Jim Shearer and Ken Peterson were crowned the 5thAnnual Sam Han Classic champions with a team score of (-9). The winners each walked away with a box of balls, a bottle of wine, and a $100 gift certificate to Taekwon Korean BBQ. However, the real winners were the children in our programs. The 5th Annual Sam Han Classic raised nearly $18,000 to support our food an education initiatives in Cambodia, Mexico and Tanzania. 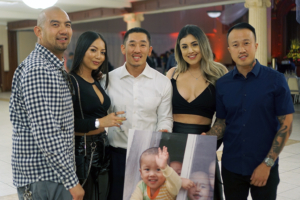 The event helped mark two special occasions to the foundation – first, our fifth year of hosting the Annual Sam Han Classic charity golf tournament; second, our 10 year anniversary in keeping Sam Han’s legacy of love burning bright. Both were big accomplishments but at the end of the day we realize it is you, our donors, whose compassion and generosity have allowed us to reach these milestones. On behalf of our organization, our partners who tirelessly work abroad, and the children we serve – a heartfelt thank you for all that you continue to do. The Han-Schneider International Children’s Foundation hosted its first charity poker tournament on November 18 at the Greenbar Distillery in the Arts District of Downtown LA which was attended by over 90 supporters and friends. The evening started with cocktail hour where our guests enjoyed small bites and an open bar. Before the tournament officially kicked off, Arthur Han and Zachary Lopez spoke about milestone achievements and the impact the foundation was making on their Operation B.O.O.K program, which serves over 5200 orphans and children around the globe with educational and nourishment programs. A heartfelt video presentation on their most recent mission trip to Mexico was also showcased. The tournament kicked off shortly after on the distillery floor amongst the copper stills and barrels that made this such a unique venue. The tournament allowed for re-buys, and a one-time, special add-on to allow those knocked out early to still have a chance to win it all. 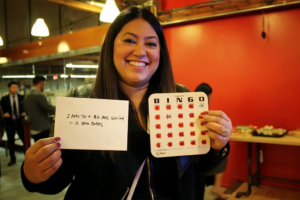 As the players were busy on the distillery floor, attendees in the Diamond Lounge were treated to wine tastings from San Antonio Winery and complimentary bingo games to win prizes. The final table was spotlighted in the diamond lounge where all guests watched in excitement to see who would win the poker tournament and the grand prize of a one week stay in Cabo San Lucas. When the dust settled and the final hand had been dealt, our inaugural Charity Poker Tournament winner David Yang was crowned. While the top four players took home prizes, it was our children who were the real champions that night. The evening raised over $10,000 for our programs in Cambodia, Mexico and Tanzania. Thank you to all our sponsors, donors and all guests who made this event a success! 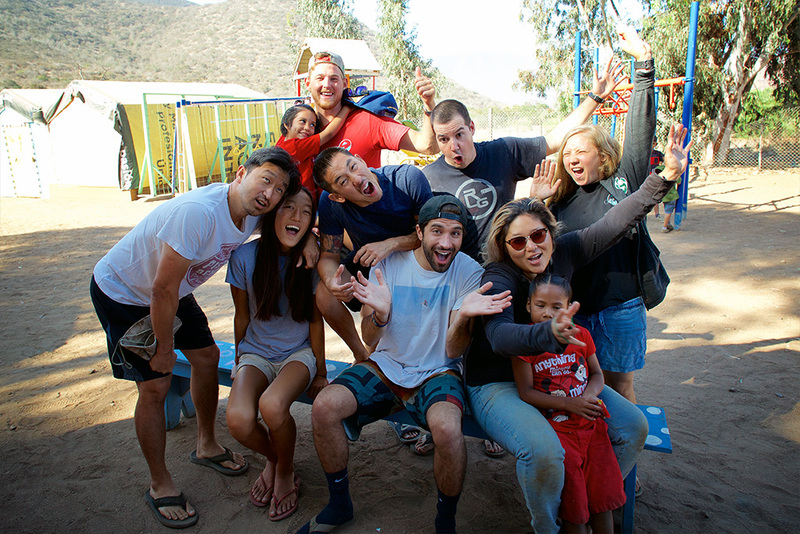 The Han-Schneider International Children’s Foundation continued its mission trip program in 2017 with a trip down to Ensenada, Mexico. Our mission trip program first began in 2013 with a trip to Tanzania, Africa to allow our friends, family and supporters a chance to meet and interact with the children whose lives they are impacting through their generosity. 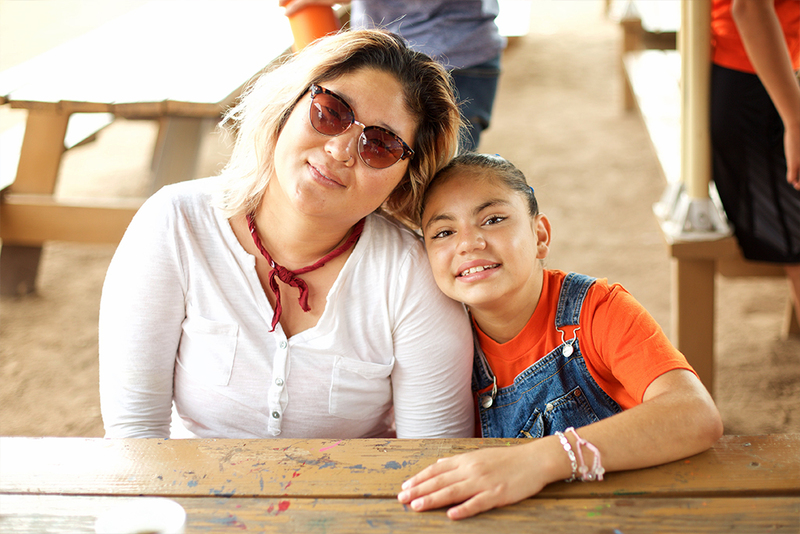 This is the second time that HSICF has traveled to Mexico, but it was first time we participated in a summer camp for orphans with our partner, Rancho Genesis. 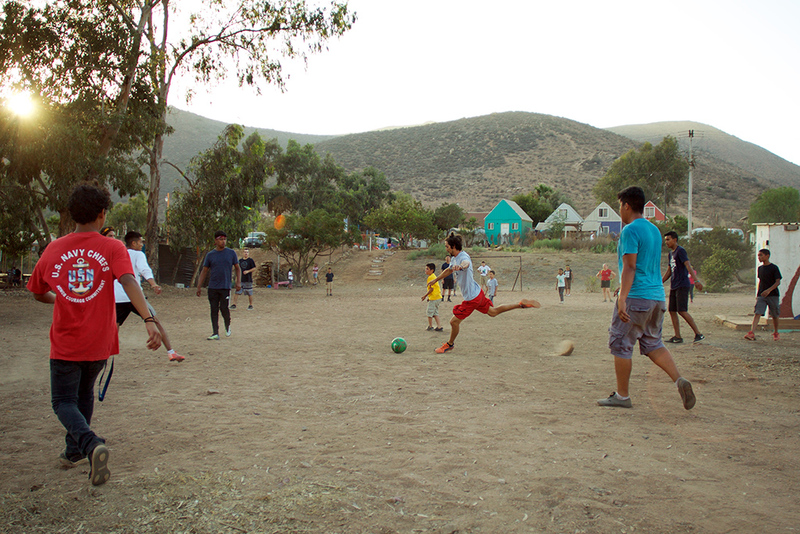 The team from HSICF, which consisted of 10 members, was paired up with Casa Hogar La Gloria, an orphanage located in Tijuana, Mexico. 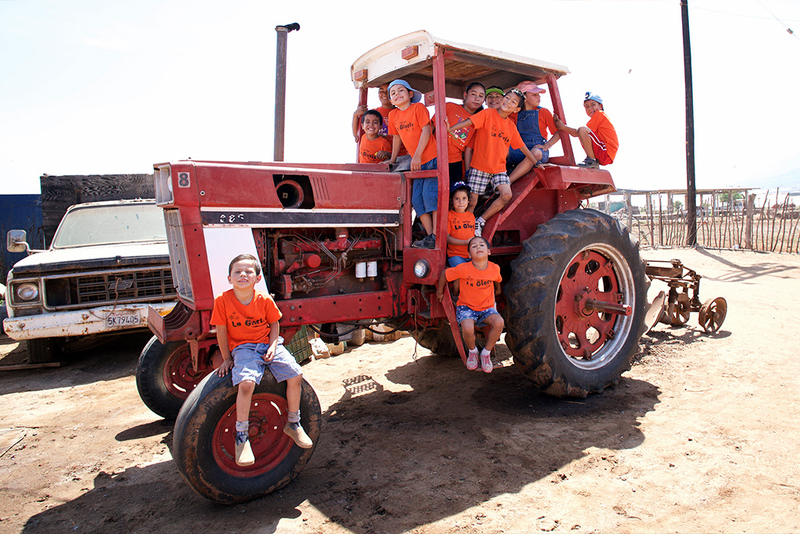 La Gloria sent 14 beautiful children ranging in age from 5 to 12. This trip offers a unique experience in which every team member is paired with a “nino” (or two) for the week and the children were able to participate in outdoor activities that they don’t normally have the opportunity to experience. 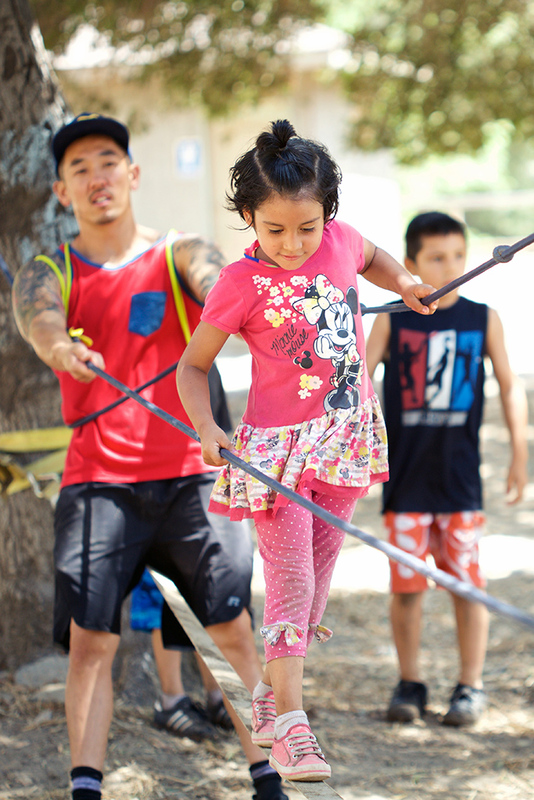 Each morning the team from HSICF served the children their meals, played on the campsite’s playground and then head offsite for a special activity. 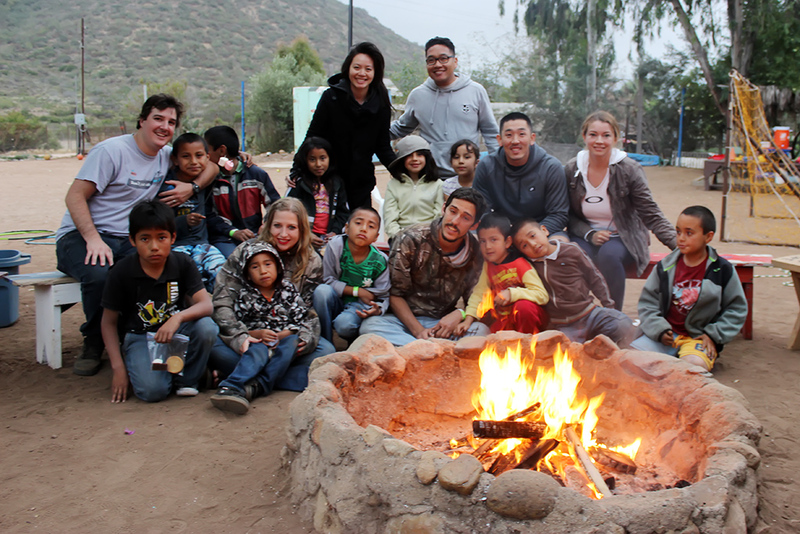 For example, one day the group took the children offsite to a trampoline park, took a boat tour of Ensenada Bay and then concluded the outing with a tour of the fish market and an ice cream treat! 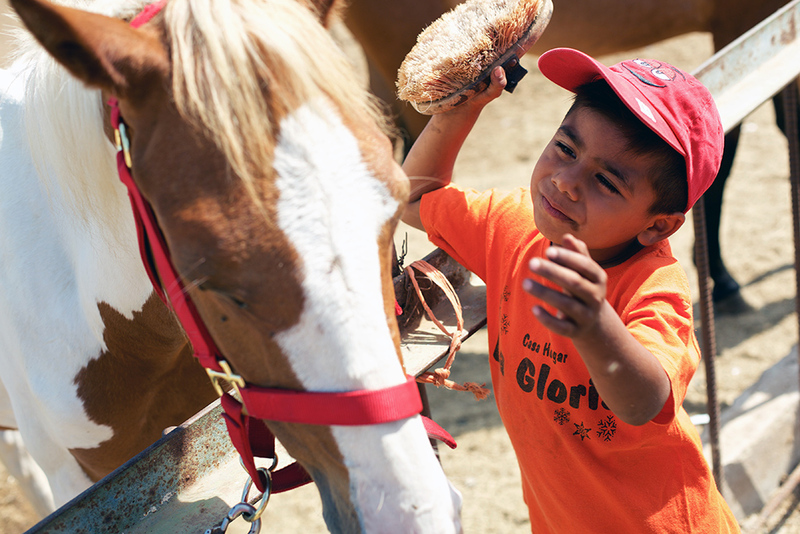 Another day’s outing consisted of a trip to a local ranch where we had a photo scavenger hunt which was followed by horse rides, archery and swimming. 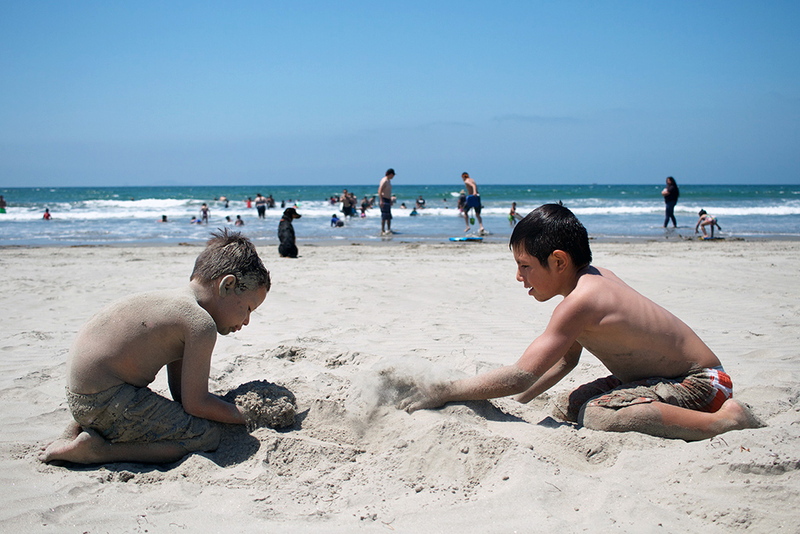 The highlight of the week was a trip to the beach where we collected seashells, played in the sand, and swam in the warm, blue waters of Ensenada. 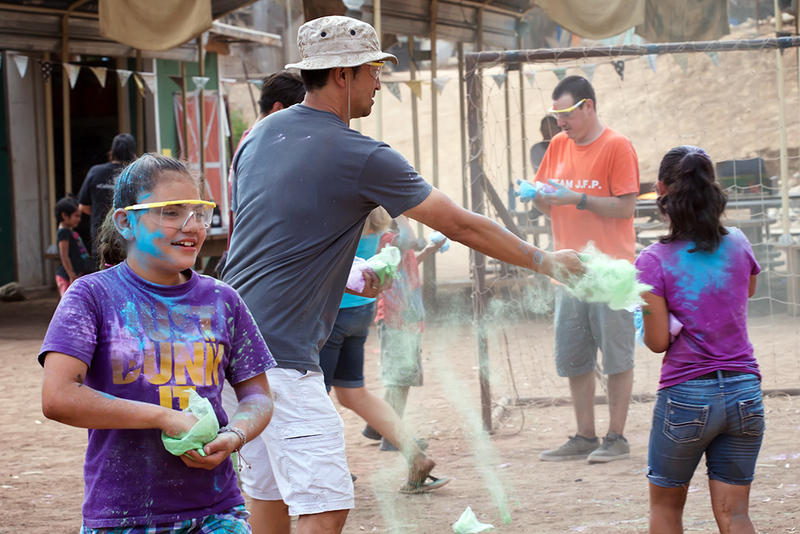 Meanwhile at the campsite we bonded with the children with other fun activities like arts and crafts, decorating cupcakes, making slime, enjoying an outdoor movie night and even a concert where the dedicated staff of Rancho Genesis played songs of worship. It wasn’t all fun and games, however, as our group also did some construction work to help improve the campsite. We worked together to put up a wall, shore up a fence and begin a project for a special room that other groups will be able to use in the future to escape the sun. Every day concluded with a campfire with the children where we talked about our favorite parts of the day and reflected on the special memories that we would be taking back with us. 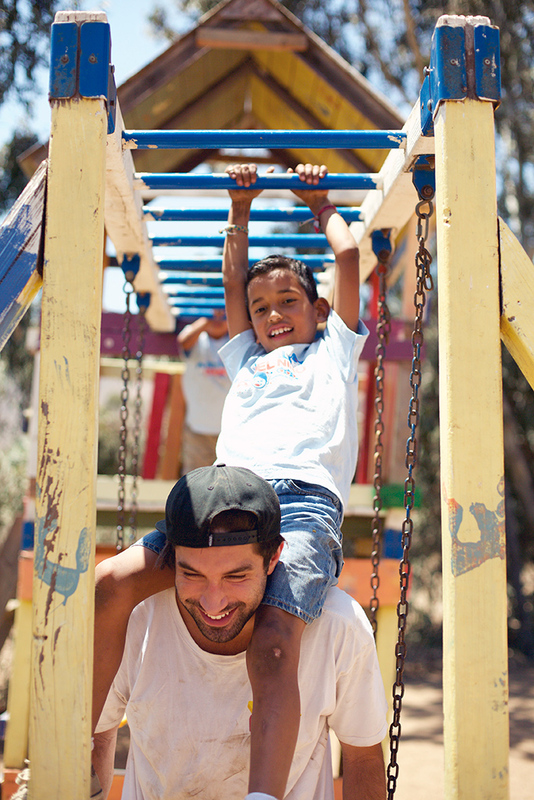 The week allowed the children to forget the circumstances that lead to them being orphaned and just be a kid – play, laugh and love. There is no doubt that this week had a profound impact on their short lives but the impact they left on every team member was even greater. We as an organization look forward to not only pairing up with La Gloria next year at Rancho Genesis but hope this is just the beginning of a long, beautiful relationship. To help similar children across the world, please consider giving a gift to our organization. On June 16, the Han-Schneider International Children’s Foundation hosted the 4th Annual Sam Han Classic charity golf tournament. This year’s tournament had a change in scenery and was held at Brookside Golf Course. The switch of venues paid off with this year’s tournament drawing a record number of participants – 95 golfers of varying skill levels. The 4th Annual Sam Han Classic kicked off at 1pm to allow our supporters to get a work day in. We also switched from a post-tournament reception to a pre-tournament barbecue, which was met with great enthusiasm. Each golfer received a goodie bag filled with a HSICF branded golf towel, coozie, balls and tees. 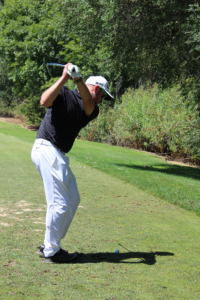 They were also automatically entered into the three in-tournament contests consisting of a long drive competition, closest to the pin and the featured $10,000 cash hole-in-one sponsored by the Riboli Family Wines of San Antonio Winery. This year, the Sam Han Classic introduced a bull’s eye contest where players could wager $5 to win 1, 2, or 3 raffle tickets depending on where their ball landed in the bull’s eye. 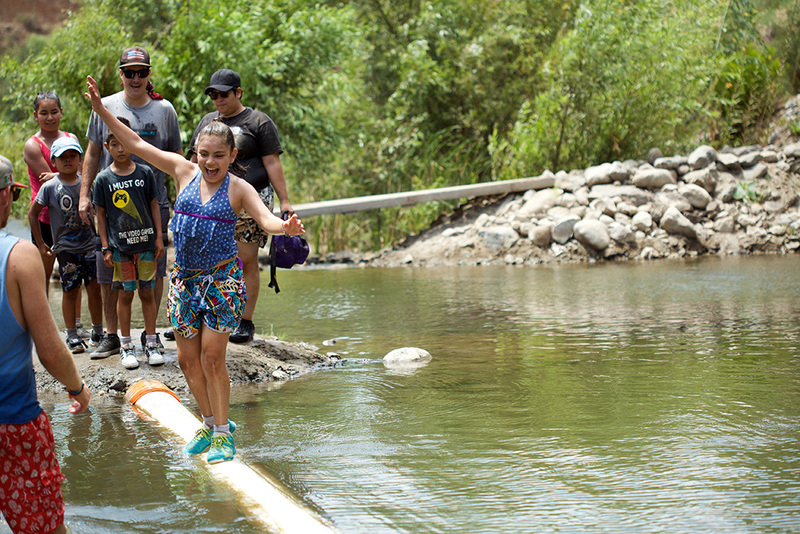 Even in the midst of a heat wave, the Arroyo Seco, where Brookside is nestled, provided our golfers a nice, cooling breeze. The tournament also provided all participants with unlimited refreshments throughout the course donated by Classic Distribution and Tsingtao Beer. When the scorecards were added up the team of: Jordan Lopez, Evan Richardson, Reed Henderson and Manny Olaiz took the much coveted championship bobblehead trophies along with a several other prizes with a team score of 54 (-16). Raising nearly $20,000, our ongoing programs under Operation B.O.O.K., will continue to flourish by further developing our educational and nourishment programs for children across the globe. The 7,500 children and orphans we serve will receive daily education along meals to keep them active and provide a healthy lifestyle. Thank you to all of our sponsors and participants who made the 4th Annual Sam Han Classic the biggest and most successful tournament to date. Our children are truly fortunate to have a family like you! 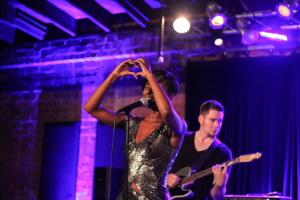 On November 19, the Han-Schneider International Children’s Foundation and WorldArts Gives collaborated to host the “Love, Hope & Harmony” concert to benefit the children served by our organization. The event was held at the WorldArts Studio in Culver City. 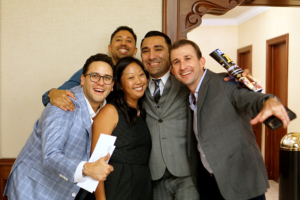 The event was emceed by comedian Blake Wexler and was attended by over 175 guests who enjoyed the live music, catered food, drinks and the silent auction featuring more than 50 items ranging from vacations travel packages to sporting events. Avonlea, an up-and-coming 16-year-old singer/songwriter kicked off the concert and wowed the crowd with her original songs. She was joined by special guest, Trenyce, who put on a dazzling performance covering songs by some of the most iconic artists of our time including an impressive rendition of Whitney Houston’s “I Will Always Love You.” After a brief break, Reverse Order, of America’s Got Talent fame, took the stage to rock out. The musical performance aspect of the event was wrapped up by Interscope recording artist and GRAMMY-nominated singer/songwriter Candice Pillay whose unique sound and passion for the children not only entertained the crowd, but rallied them to help the foundation raise over $3,000 via a text-to-donate campaign. success. Through ticket sales, raffle tickets, donations, silent auction and the text-to-give campaign, the event raised over $15,000 that will help the organization run its programs in 2017. We want to thank WorldArts Studios for hosting the event, Avonlea, Trenyce, Reverse Order and Candice Pillay for performing, all the sponsors and donors for making the night possible and all those who attended the event. 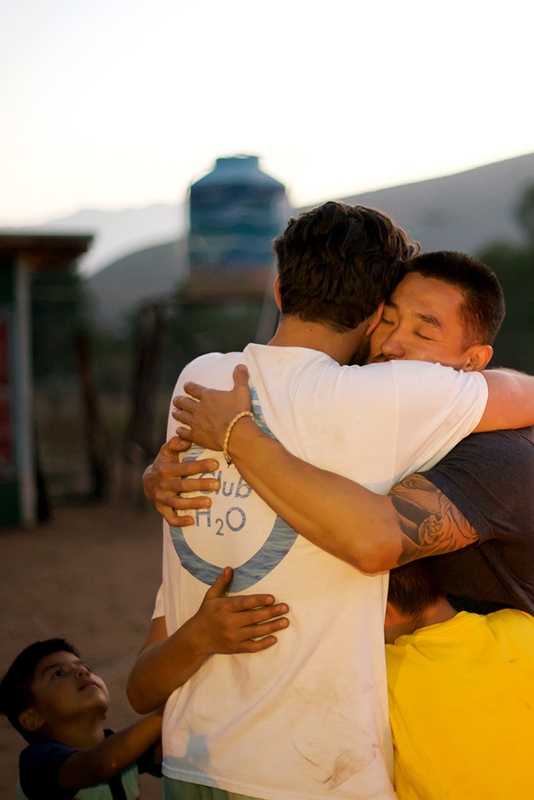 We are forever grateful for all the compassion and support needed to make “Love, Hope & Harmony” possible.